According to the new edition of Canada's Food Guide, healthy eating means a plate filled with produce, grains and nuts — but light on the meat and cheese. In a multicultural society, are these the kind of food choices that will fit everyone? The much-beloved chef Julia Child is famous for French cooking and her infatuation with butter. She once said, "The only time to eat diet food is while you're waiting for the steak to cook." Mrs. Child would likely turn her nose up at Canada's new food guide. It got a long-awaited overhaul this week and it's a lot greener and leaner than past editions. Gone are the four food groups. 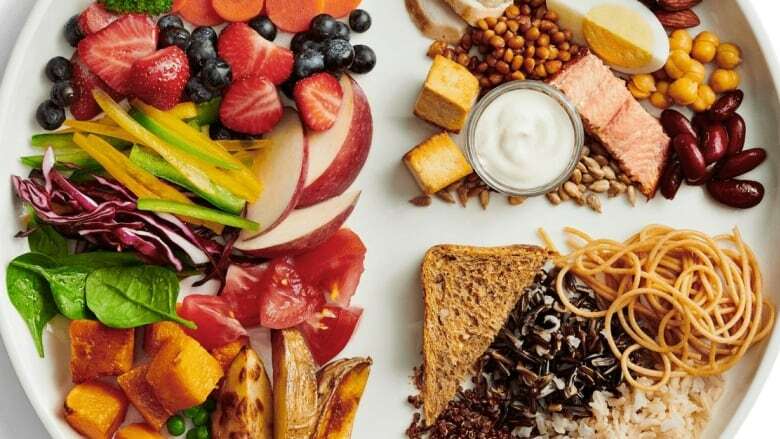 Now, Health Canada says healthy eating means filling up a plate with fruits, veggies, grains and nuts, but going light on the meat and dairy. Plant-based diets are increasingly popular in Canada, with millennials leading the way. Vegetarians and vegans account for nearly 10 per cent of Canada's population and most are under the age of 35. But, in a multicultural society like Canada, are these the kind of food choices that will fit everyone? Our question this week: Will you embrace a plant-based diet?